Three Cheers For The Vanishing Legion! 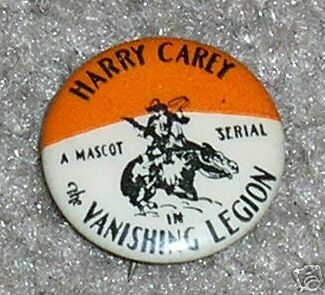 Mascots are the only serials that look as though they were shot in my Grandmother’s backyard. Austere is the operative word here. Harry Carey chases miscreants down streets and through buildings that appear as though they’re still waiting to be wired for electricity. There are no paved roads in this serial, even in the face of its "modern" setting. The town where much of the action takes place is devoid of extras. It’s like everyone either died or cleared out. All the backgrounds have a look of utter desolation. Whatever object or advantage is being fought over could have little monetary or spiritual value against such a bleak void. As with so many serials, you lose track of who’s pursuing who, let alone why. The chase becomes the end in itself, and men exist merely to fall out of windows or be shot at. The alternate Mascot universe never acknowledges ordinary concerns in life. 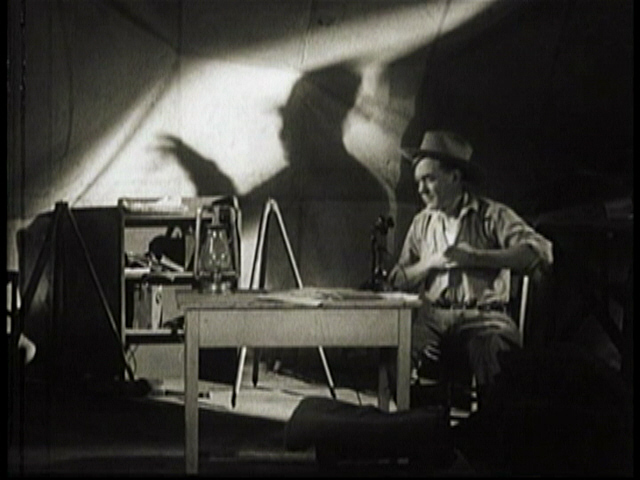 To maintain the pace of a Harry Carey in this show (53 when he made it), you must submit to bullet wounds (Only a scratch, Jimmy), topple off rockbound cliffs (I’ll be all right, Jimmy), and plunge from atop oil derricks (That was a close one, Jimmy!). You can do this sort of thing in the cartoon world of Republic because their chapterplays offered a comforting remove from any sort of recognizable reality, while Mascot serials are all the more unsettling in suggesting, by way of their crudity and obvious lack of studied preparation, that much of this is actually happening to harassed and underpaid cast members. Good God, is that poor Harry being thrown backward down a flight of stairs? Will someone among the threadbare crew drive him to a hospital in the event he really gets hurt? The tension these cliffhangers create is sometimes too real for comfort. You imagine a secret burial on location for some luckless stuntman with a family back in Oshkosh that hasn’t seen him in eighteen years. Who would ever be the wiser? Nat Levine used faded names and anxious beginners. 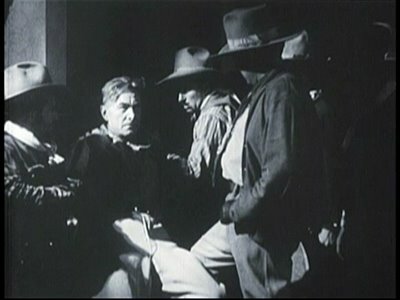 Harry Carey had been around since Biograph days, but his kind of westerner had gone out with Bill Hart, and despite a recent success with MGM’s Trader Horn, he couldn’t be choosy. 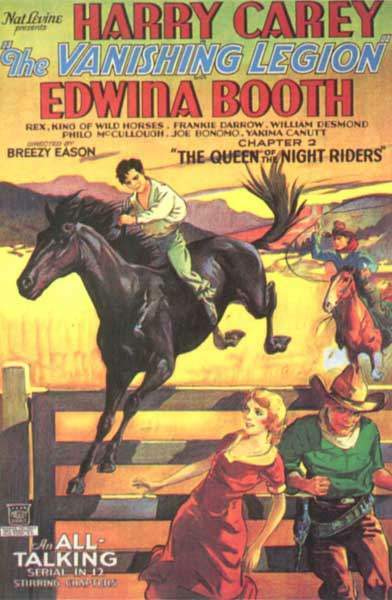 Edwina Booth was another Trader Horn veteran, though her inept dialogue delivery here caused even producer Levine to blanch with embarrassment. 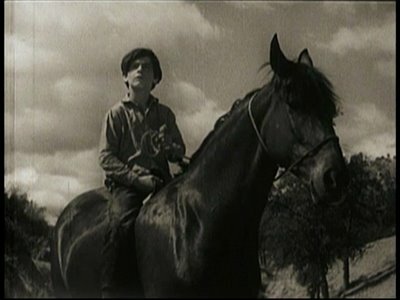 Twelve-year-old Frankie Darro served as audience identification figure and got one thousand dollars for doing this serial, while Rex, King Of The Wild Horses was coming off a series of silent westerns for Hal Roach. Stunt pioneer Yakima Canutt supervised the riskier action, with much footage purloined from features going back ten years. The Vanishing Legion was enlivened by a mystery villain known as The Voice, so-called because we never glimpse his face, at least not before the unmasking in Chapter Twelve. Pre-stardom Boris Karloff supplies the unseen, but oft-heard, presence throughout, and it’s a credit sometimes omitted from the actor’s filmography. The Voice commands the titular legion. We’re never briefed as to how he imposes his will upon such a large body of men, since they seem to be the only henchmen available to him. Perhaps his sinister intonations are sufficient to assure loyalty. I’m ashamed to say I failed to guess the identity of Mister Big prior to his unmasking (it isn't Boris but another actor who's revealed at the end) --- that may be the result of sheer indifference on my part, as the numbing effect of the glacial narrative over twelve seemingly identical chapters left my head swimming with befuddlement. Based upon the foregoing, you’d not think I’d seek out further Mascot encounters, but something in me longs for The Devil Horse, Mystery Mountain, The Lightning Warrior (Rin-Tin-Tin’s final film! ), and all the rest. The only problem, and it’s a major one, is the lack of quality DVD’s available. 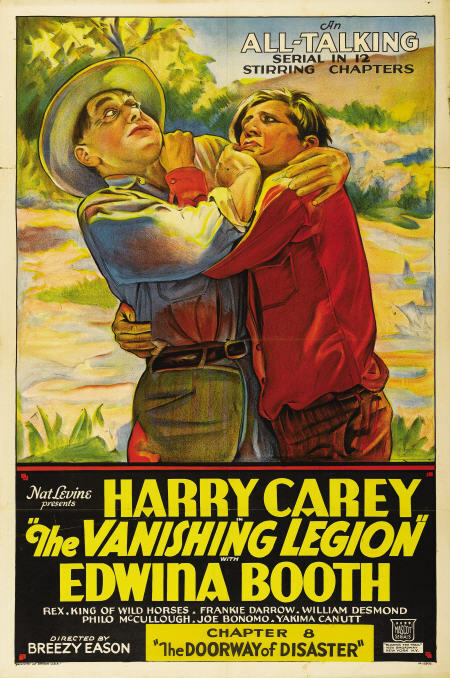 Insofar as that goes, The Vanishing Legion is a remarkable exception. There is a concern known as The Serial Squadron that offers restorations of many chapterplay favorites. Their transfer of The Vanishing Legion is all digital, and by far the best quality DVD of any Mascot serial I’ve seen. Here's hoping they’ll continue mining these treasures (and you can check out The Serial Squadron’s website HERE). That actually sounds like fun! I've always enjoyed the low-rent programmers from studios (if you could consider them studios) like PRC, Monogram and the rest. Anyone can shoot a movie when you've got a Metro budget. It takes a real talent to do the same thing for a few thousand. You may well be right about the odds of some luckless stuntmen going the way of all flesh on these serials. I notice the director is B. Reeves "Breezy" Eason, who was famous for his amazing action scenes...and notorious for not much caring what he had to do to get them. Old-timers told Kevin Brownlow about all the horses that had to be put down while shooting the silent Ben-Hur chariot race, and in the 1936 The Charge of the Light Brigade the carnage is right there on screen, so appalling that it led to legislation to protect animals on the set. 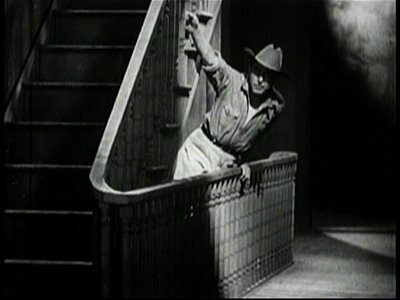 (Errol Flynn also wrote in My Wicked, Wicked Ways of a stuntman friend who was killed by his own sword in a horse fall.) And those were at MGM and Warners; what corners might Eason have cut at Mascot? 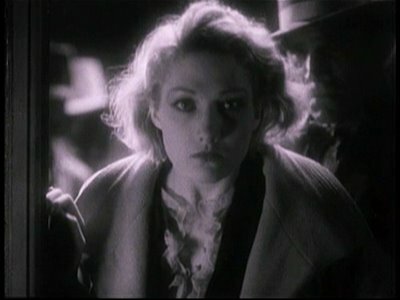 Didn't Edwina Booth get sleeping sickness filming TRADER HORN?. So how did she make another film right after? Maybe she was ill during the filming of this serial, and that is why her line readings are so bad.